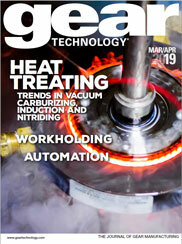 The article "Holding Our Breath" appeared in the May/June 2003 issue of Gear Technology. As we sign off on this issue, the was has just begun in Iraq. The world seems to be holding its breath, and waiting. The article "Holding Our Breath" should appear in the box below, but if you do not see it, you can download it here.